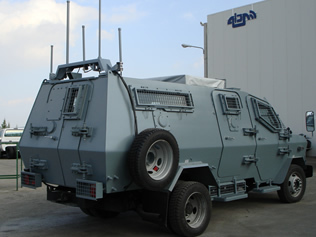 The JAMKIT system provides an ultra-efficient, high-power mobile multi-band jamming system designed specifically for installation within any suitable vehicle. The system simultaneously jams the RF frequency bands most used around the world, including cellular (CDMA, TDMA, GSM, HGSM, etc. ), satellite, walky-talky (VHF/UHF) and computer network (WLAN, WiFi, Bluetooth) frequency bands. 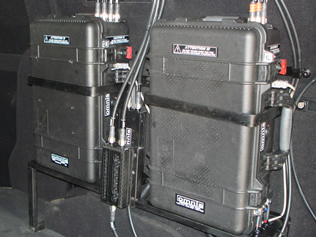 A high-power jamming system constructed within one large Pelican attaché case. 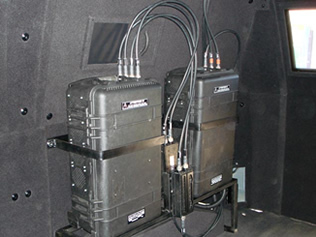 Alternatively, the system is available configured into two smaller Pelican cases, one containing the cellular/satellite jamming unit and the other containing the VHF/UHF jamming unit. 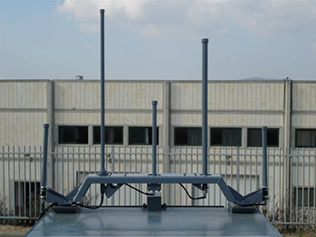 A set of 5/8 high-gain omni-directional antennas with connecting RF cables, featuring a special design for vehicle installation. A wired remote control unit for convenient system operation and control. The JAMKIT system can be removed from one vehicle and installed in another vehicle (although it is recommended to leave the antenna installation intact when removing the jammer). This makes the system useful for applications where different vehicles require protection at different times.